Though molecular targeted therapy is one of the important parts of treatment for cancers that developed from lung, breast, colon and others, gastric cancer treatment still need great improvement in this area with only limited molecular targeted drugs approved up to now. Effort to reveal the mechanism of carcinogenesis helps to accelerate the development of new molecular targeted drugs. With the development of high throughput sequencing, new targets have been evaluated. HER-2 and VEGF pathway for angiogenesis are the two accepted molecular targets with corresponding drugs to inhibit their activity. 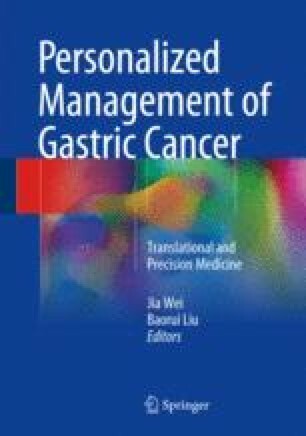 In the future molecular targeted therapeutics for the treatment of gastric cancer could enable a mechanism to not only to block activated signaling pathways of tumour cells, but also to modulate the tumour microenvironment.